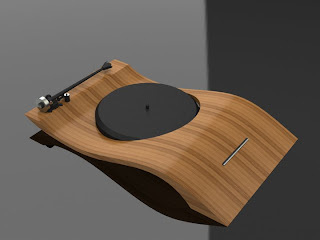 Thanks to fellow audio scribe Steve Guttenberg, I found this article on a new minimalist turntable from R. D. Silva. 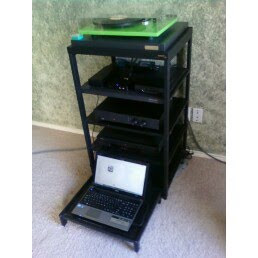 The "Turnstyle" contains everything you need to play vinyl...platter, arm, cartridge and even a speaker. I would take a guess and say that ultimate sound quality is clearly not the goal here. 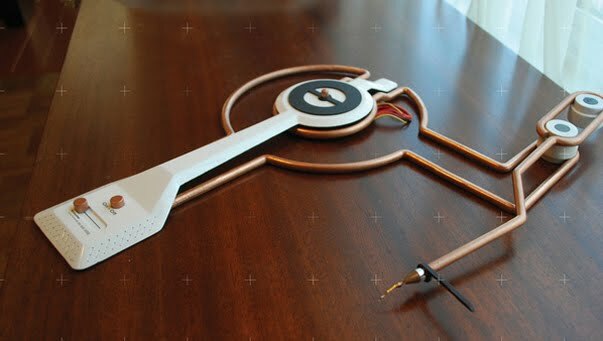 Nevertheless it's an intriguing design and maybe some of the visual cues will find their way into more audiophile-approved designs. 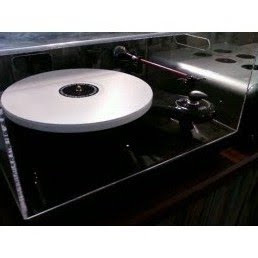 You can read more about this turntable at http://www.audiophilia.com/wp/?p=5183. W. H. Walker - Suds! "Suds! All over me! Suds! I want to be clean!" 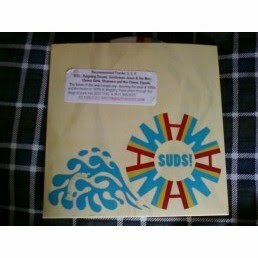 Okay, now that this song is totally stuck in my head and won't come out, I guess it's time to tell you about coolest party album of the year--W. H. Walker's Suds!. This six-song EP, which is culled from a forthcoming split 7" LP with Clorox Girls, hasn't a moody, reflective moment on it. This self-described "doo-wop boogie pop" is all about (Suds!) raw exuberance, a lo-fi party vibe and an overall sound that jumps cleanly between The Who circa 1965 and perhaps The Jam circa 1979. W. H. Walker, which isn't a guy but a group, stands for Welcome Home Walker. This Portland-based band rose from the (Suds!) ashes of the Soda Pop Kids, a very different sounding band that broke up in 2007, and they take such musical heroes as Smokey Robinson, Berry Gordy and the Rubinoos and turn them into something that's 10% nostalgia and 90% sheer hyper energy. While the doo-wop influences are (Suds!) obvious, the rawness of W. H. Walker seems to rise from the punk scene that emerged a good fifteen or twenty years later, especially in more manic songs such as "As the Night Goes." Throw in a cover tune from a Venice, California busker ("Watch Your Step") and a genuine soul ballad ("The Untold Death of Grady Jones") and the non-stop rush of sound and beat starts to ebb and flow and show a surprising amount of (Suds!) depth amid the cigarette smoke and the spilled gin. So, Suds! is a whole lot of fun, a slight dirty EP that smells like the wrong but much more interesting side of town, the one where you have the time of your life before you run home and try to forget what you've done the night before. A bathtub full of Suds! will do the trick, I suspect. I just stumbled onto the Analogue Adventures website/blog and thought you all might enjoy it as much as I did. Written by a Toronto-based audiophile named Robert Lawson, Analogue Adventure covers a lot of the same ground I do (although he hasn't tackled the mighty Los Angeles cheeseburger yet). His tastes in both gear (Naim, Rega and Dynavector) and music are close to my own, and he has a lot of interesting things to say. Check it out at http://analogueadventures.com/. After hearing a few cuts from the latest overwrought and banal album from James Blunt, I sincerely wondered to myself if anyone could write a sweet, intelligent and romantic song in this day and age. Idiocracy aside, I just can't accept that intelligence is directly proportional to cynicism, and that a love song has to have a dark edge in order to be acceptable to your garden-variety hipster in the year 2011. 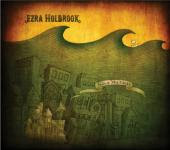 Ezra Holbrook, I believe, has the answer. 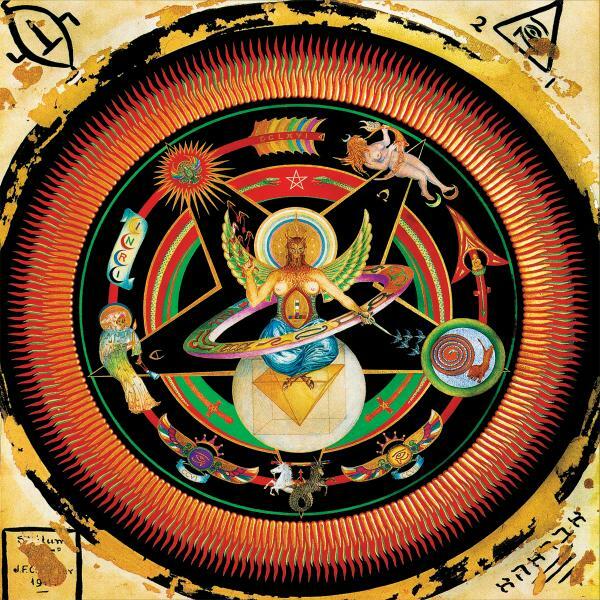 Ezra was the original drummer for The Decemberists, and his new album Save Yourself combines a stunning trifecta of intelligent lyrics about love, varied and endlessly interesting instrumentation and great sound quality. Ezra's voice is surprisingly accomplished for someone who was previously just known as a drummer for a very good indie band. He mixes the slight breathiness of Sufjan Stevens with the honest, direct phrasing of Paul Simon, and the result is easy, sweet and smooth. Best of all, he really has something to say about love that isn't maudlin, angular or overly unctuous. He's the master of the simple throwaway line that comes back to haunt you, like the simple yet poetic declaration in the song "Collide-oscope" that "Everything broken is beautiful too." (He comes back later in the same song to confirm that "You might feel broken but all of those pieces belong where they fall.") And for the record, I also sat up and took notice of the line "I would go to sleep unhappy if I could just wake up amazed" from "Do People Bloom? "; it reminded me of "You know I would die if I could come back new" from Wilco's astounding "Ashes of American Flags." Ezra doesn't cheap out on his band, either. Like I said, it's varied, and I was constantly surprised by the sudden appearance of an accordion, a flute, a string arrangement or even a '70s-style electric piano. The gentle, jazz-tinged sax solo that ends "Another Light Off in the Distance" is definitely a welcome conceit. The sound quality is unusually warm and natural; on a couple of songs I could even hear when acoustic guitars were being strummed with the fingernails rather than picks. Not every song is a home run--"God Help the Homeless Heart," for example, wears its heart a little too eagerly on its sleeve with its sentimental yet skittish string arrangement. But Save Yourself is a remarkably smart collection of love songs, and may be the perfect make-out record for the day you finally get that quirky, tattooed IT student who works at the local Starbucks to come over to your apartment. Free Cookies at All Mom's Cookies! This Friday, January 28th, All Mom's Cookies here in Kyle, TX is celebrating the 100th birthday of Aunt Edith! 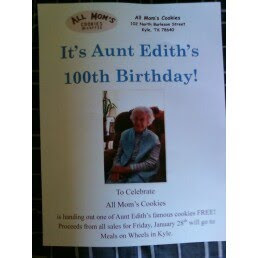 Pam Krug and Erin Pont, the mother-daughter team who make up All Mom's, will celebrate the occasion by handing out one of Aunt Edith's famous cookies for free. All of the sales of the day will be donated to Meals on Wheels here in Kyle. Erin said that except for a little hearing loss, Aunt Edith is fit and active. In fact, she's a little embarrassed that All Mom's is making such a big deal out of her special day! So to all my friends in the local area who are reading this, come on out. All Mom's is located at 102 North Burleson Street here in downtown Kyle, just off of Center Street across from the police station. I had to fire someone today. No, it wasn't an employee, but a vendor. We've had trouble dealing with this particular company; we've made five purchases from them, and four of those purchases required a return visit because the product was defective. Today, when we complained about screw-up #4, the representative argued with us. His argument was this: if we had been doing OUR jobs right, we would have seen their screw-up in advance. I replied by severing our business relationship with them. Yesterday, I picked up my car from the mechanic. It was a job that should have taken a day to fix, but thanks to a screw-up on their end (the part they bought didn't work), they had my car for almost a week while they sorted everything out. When the bill came, it was full price. When I left the shop, which was out in the boondocks, I was told, "You're kind of low on gas...you should fill it up right away." I got a mile down the road--a country road--when the car ran out of gas. Stranded, I had to walk a mile to get some gas. I severed that business relationship as well. Over the last few weeks, bad customer service seems to be a growing trend in my life. The problem is, these same people I've dealt with are complaining about how tough times are and that business is not good. Think there's a connection? I do. Maybe it's because I worked in management for 18 years for companies that always stressed the importance of good customer service. If I didn't make the customer happy, my boss would. Then I'd spend the rest of the day in my boss's office being asked why I didn't take care of the customer. Funny thing was that NONE of these companies complained about business being slow or times being tough. That's because they knew how to deliver GREAT customer service. 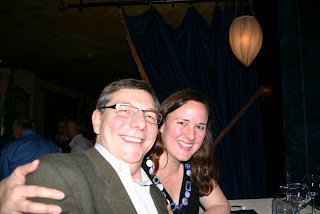 My brother Mat, who has been successful in the computer sales/repair business for 14 years, said this to me: "I always insist on giving the best customer service to my clients. I only expect about half as much customer service in return. Everyone's standards are way too low." I've worked with companies who, in tough times, have replaced their "The customer is always right" mantra with sayings such as "Sometimes you have to fire some customers." While the customer may NOT be always right, the trick is never letting them know they aren't right. That's good business, plain and simple. 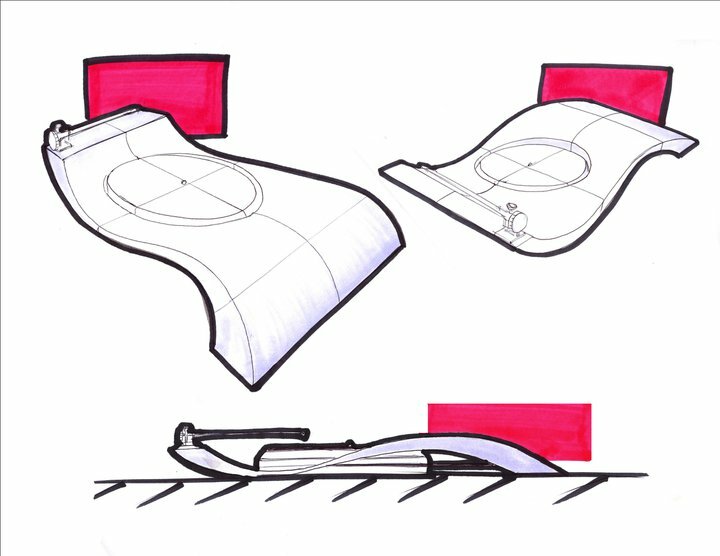 This idea, of course, translates with uncommon relevance to the high-end audio industry. I've always railed against high-end dealers who cultivate a snobbish attitude toward customers. My famous story is of one audio dealer who once told me not to breathe on one of their turntables. All I wanted to do was get a closer look to see what model it was. I severed that business relationship before it started. 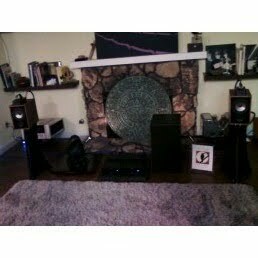 There are plenty of high-end audio dealers who get it. I've always championed dealers such as Gene Rubin of Gene Rubin Audio, Dan Muzquiz of Blackbird Audio Gallery, Brian DiFrank of Whetstone Audio and Peter Selesnick of Venice Audio. These gentlemen ALWAYS bend over backwards to treat their customers with respect, kindness and gratitude. Gene, for example, states on his website that he has been in business since 1979, and he has yet to have a customer service complaint. These are the people who have earned your business. 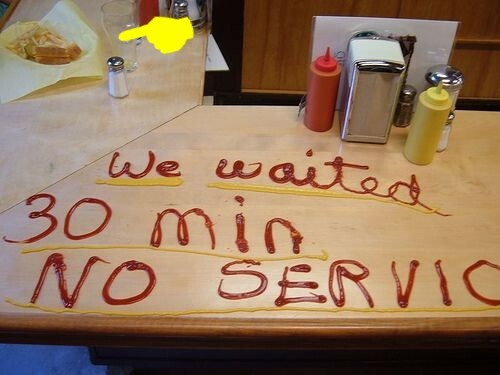 It comes down to this: just say no to bad customer service. Once you receive bad customer service, sever that business relationship at once. The hi-fi shop proprietor who told me not to breathe on his turntable is no longer in business. Good. He doesn't deserve customers. In this crappy economy, everyone has low and competitive prices. So give your money to those who deserve it...those who distinguish themselves from their competitors by offering GREAT customer service. Up until a couple of years ago, I used to include a category on my year-end Vinyl Anachronist articles for Perfect Sound Forever called "Coolest Vinyl Find of the Year." Well, I know it's only January 25, but I think we already have a winner for 2011. A mysterious package arrived at my doorstep yesterday. Okay, I know Kaytea McIntosh from XO Publicity sent it to me, but this package was big and flat, and Kaytea usually sends me little silver discs that fit neatly into my mailbox. I sniffed the package carefully and immediately detected the fine, rich smell of vinyl. I was right. 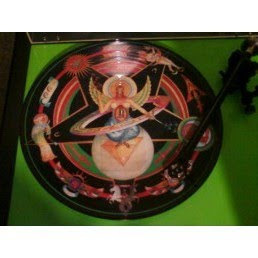 What didn't know, however, was that I had just received perhaps the most beautiful picture disc I've ever seen. It's from a Portland band called White Orange. Other than a somewhat spare and enigmatic MySpace page, there isn't a lot of information on these guys. I do know from the album cover that Dustin Hill sings, plays guitar and writes all the songs while Dean Carroll plays the drums. Evidently there are two bassists--Ryan McIntire and Adam Pike (which is fairly unusual in itself). 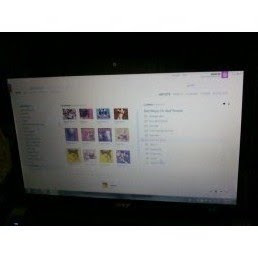 The album has been released by Made In China Records. There isn't even a title for the LP; it simply says "White Orange performs '...and this is why I speak to you in parables' and 'middle of the riddle.'" But as you can see from the pics, this is a sumptuous, gorgeous vinyl LP with complex, amazing artwork. The music is pretty cool, too...this is basically an EP with just one song per side, and it's the same song. "...and this is why I speak to you in parables" is a thirteen minute-plus epic that unravels slowly yet harshly like something from Godspeed! You Black Emperor! and then settles into a punchy, noisy psychedelic rock song that channels both Hot Tuna at its most abrasive and perhaps something more progressive and elegiac like Wishbone Ash. "Middle of the Riddle" is simply a more radio-friendly edit of the same song that last just a bit over five minutes. It's basically the central (i.e. the "middle") section that eschews the long build-up in the beginning and the long jam that leads to the fade-out. The music is almost at odds with the mystical packaging. To tell you the truth, I had no idea what to expect until the needle hit those beautifully adorned grooves. While Hill's guitar is rather straightforward, stripped and raw, Carroll's drumming is full of thunderous fills that captures the exact momentum of the greatest acid rock drummers of the late '60s and early '70s. The two bassists are very entertaining as well, with plenty of subterranean bends and drop-offs. I'm not sure when this LP will be available to the masses, but as long as it's not priced at a premium "audiophile" LP price, it's definitely worth picking up. (A little logo on the back on the cover says "Limited Edition of 500," so there are 499 left!) Obviously the artwork alone is worth it, but the lone song-and-a-half makes me want to hear more from this Stumptown quartet so I can figure out what they're about. You can check out White Orange's MySpace page, however, where you can sample some of their other songs. That's what I'm gonna do. It's at http://www.myspace.com/whiteorangeband. Here are just a couple more photos of what my brother and I are working on. 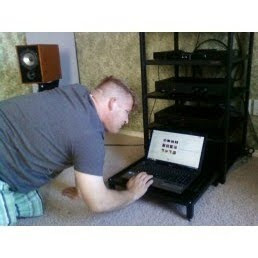 After attending CES and seeing what's new in the world of music servers, my brother--a long time IT guy and fellow music lover--is amazed at the complexity of it all. His point is that people are focused on the hardware end of things such as controllers, wireless adapters, interfaces, etc. He asks the simple question: why don't you just use your existing PC for all of this? Why don't you just put your money into your desktop, tower or laptop? 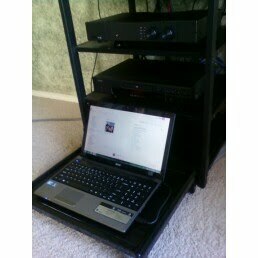 In just a day or two, we have created a versatile system that uses little more than a laptop (with four gigs), a $100 Sound Blaster sound card and some software to create a commercially viable and affordable music server system. I'm a little self-conscious about using my blog as a marketing tool. 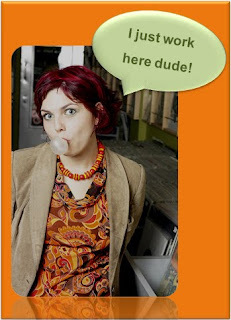 Someone in the audio industry asked me just this weekend if I made my living on this blog, and I replied, "No. I don't make dime. I do this for fun." And I do. At the same time, I think we're onto something very cool. I don't know where this will lead, since my brother has spent the last 14 years offering computer support on a very local level, but you never know. What he has done is very cool, and I honestly can't see spending tons of money on hardware after seeing what he can do. And he told me everything I have can be done for just three figures, and that includes the laptop. I'll say it once more--I'm not a technical guy and I'm really just getting into the whole computer music thing. Your more technical questions should be directed at my brother Mat. I'm also not a salesman or a marketing guy. I'm an anachronist and a music lover first. But I welcome any questions or concerns! What's going on with the Vinyl Anachronist? Well, I'm entering the 21st century with a fully integrated music server, based on just a laptop and a Sound Blaster sound card, in my traditional two-channel audio system. I compared some WMA files with CDs played on a modest Denon CD player, and I really couldn't hear the difference. I've made a few other changes as well, including Blu-Ray capability. I'll discuss my findings in the near future. 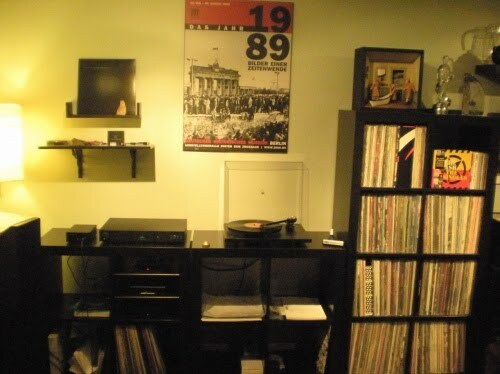 Don't worry...vinyl will always occupy the premier spot in my hi-fi. ...that even the furniture stores have amazing high-end audio systems. While walking past a store in downtown La Jolla, I spotted what looked like Avalon speakers in one of the rear showrooms. 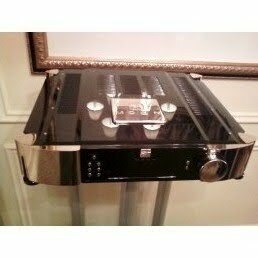 Indeed, it was a pair of Avalon Ascendants mated with a Rowland Research integrated amplifier. La Jolla...my kind of town! "So...have you joined AudioEvo yet?" 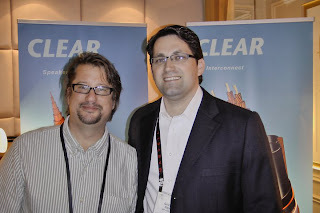 That was Dave Clark, editor of Positive Feedback Online, after he met me at CES earlier this month. I thought about it for a minute--I certainly thought I did. I remember browsing the forum and starting the sign-up process. But for some reason the answer wound up being a rather sheepish no. I hadn't joined yet. I'm not sure why I didn't finish the sign-up process. It was a grave misstep on my part. 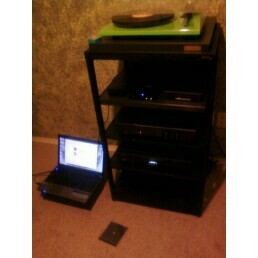 Every audiophile should join. 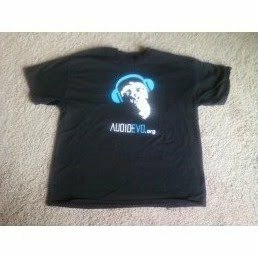 That's because AudioEvo is one of the rare audiophile/music discussion forums that actually fosters a family-like atmosphere. Many of those other forums may SAY that they're like a big family, but they're still full of bickering and flaming and feuding (okay, much like a real family I suppose!). But AudioEvo.org maintains a much more professional and pleasant level of discourse. That's because it's full of audio journalists and manufacturers and enthusiastic audiophiles. A lot of these individuals know each other outside of AudioEvo. It's an oasis. You won't find a lot of objectivist vs. subjectivist flaming. You won't find class warfare between those who can afford high-dollar gear and those who maintain that it doesn't get any better than a $129 CD player and a $300 audio/video receiver. 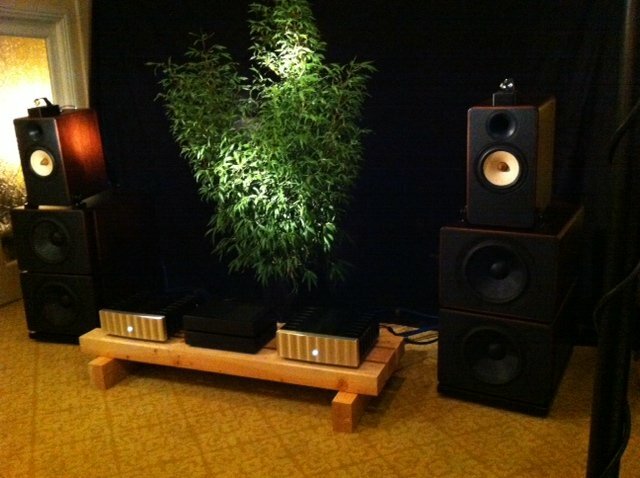 It's full of people who LOVE high-end audio, and that love is infectious. "AudioEvo.org's is a true audiophile community. Formatted similar to Facebook and LinkedIn, AudioEvo.org enables audiophiles to get and stay connected with music lovers from around the world. We encourage our members to share experiences, engage in discussions, and post photos, videos, and opinions. It's really that simple!" I've only been a member for a couple of weeks, and I'm already digging AudioEvo. (And not just because I already have the cool t-shirt.) I've joined quite a few audio groups over the years, and sometimes I hang around and sometimes I just can't get into the habit. 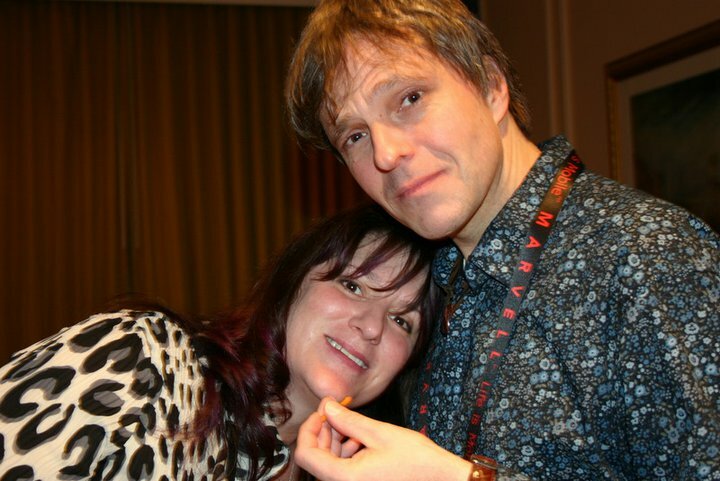 But when I joined AudioEvo, I received a warm greeting and immediately felt like I was home. Everyone who joins AudioEvo gets the same warm welcome. If this sounds like a great place to you, then I urge you to check out and even become a member. Just visit audioevo.org for more information. The alarm clock didn't go off. It was 5:05 am when I woke up. I had a 6:15 flight to San Diego. The Austin-Bergstrom Airport is 25 miles from my house. And I still made it on the plane with ten minutes to spare. I don't know how I did it, but I think I tampered with the time/space continuum somewhere. Even though it wasn't an auspicious beginning, I still had a blast at the Music Night at Blackbird Audio Gallery. I saw plenty of my old audio friends, met a few new ones and actually got to sit down with Dean Peer for a while and talk to him about his music, his bass and his plans for the future. I haven't been in Southern California for a while, and my usual tradition in these instances is to head straight to Tommy's for a #1, chili cheese and mustard only. That's exactly what I did. 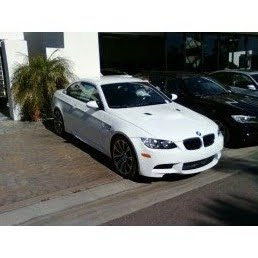 Then I took up a long-standing invitation to test drive a BMW M3, which I did as well. What a beast this is with its 414 horsepower and its roaring V-8. This one even had the hard-top convertible option. The price? $77K. Yeah, I want one. I'm only human. Here's was Dan Muzquiz' set up for the evening. It consisted of pretty much the same system as he showed off at CES...Trenner & Friedl ART monitors with the new super tweeters, Heed Audio Electronics and digital front end and a Basis 2200 turntable with a Vector tonearm and a Transfiguration cartridge. It sounded spectacular, but the bass was much deeper and fuller than it was at CES. 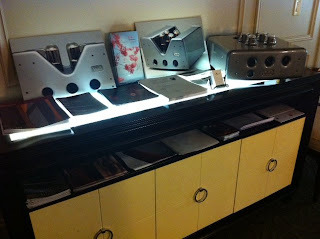 Then I spotted it, crouched between the ARTs and the Heed monoblocks...a Trenner & Friedl subwoofer! This isn't a current model, by the way; T&F has been around a long time and they have many models from the past that they still like to show off. Here's a shot of the ARTs with the new super tweeters. Here's the Basis 2200 with the Vector arm and the Transfiguration cartridge. This was a supremely musical analog rig that was detailed without being analytical. 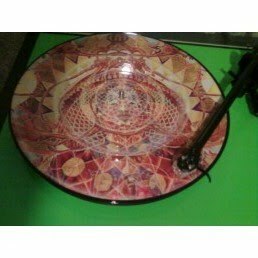 It's funny that as a general rule I tend not to like the sound of acrylic turntables--and yet I've always enjoyed every Basis turntable I've ever heard. They must sprinkle fairy dust on them back at the factory. I'm sure a lot of this magic also had to do with the Transfiguration cartridge from Japan, another audio brand that has never failed to move me with their amazing products. Here is the Funk Firm turntable I wrote about a couple of months ago. That's the new FXR arm, which is very beautiful in person. The very thin and richly-colored arm tube adds an unexpected delicacy to the overall appearance. The Basis may have had the stage for Music Night, but I look forward to listening to one of these analog rigs in the near future. 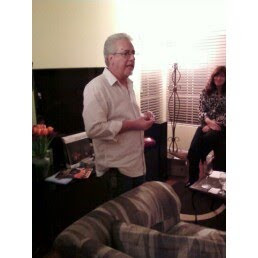 Here's a pic of Dan thanking the crowd for showing up. 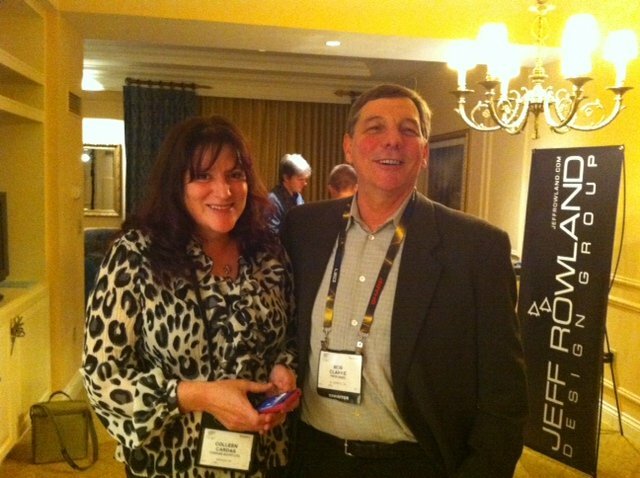 Next to him are Colleen Cardas, George Cardas and the man of the hour, Dean Peer. Dan was incredibly gracious and made a point of thanking everyone for coming out. Another pic of our gracious host. Standing room only at Chez Muzquiz. 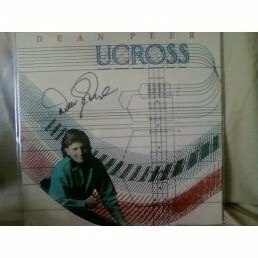 This is Dean Peer signing my LP copy of his 1992 album Ucross. He was extremely surprised when I handed it to him, saying "Where did you get this? I don't even have a copy of this!" He them told me to take a picture of him signing it because it was a historic occasion. According to Dean, this version of Ucross, the original, is now extremely rare because it was subsequently re-released several times by different record companies with different covers. He told me that another LP version is set to be released soon. I asked him, "Does that mean this version will be worth less?" He replied, "No...it will be worth a lot more." It doesn't matter, because I'm not selling it. As I mentioned, I did get a chance to sit down with Dean and talk. Dean actually lives in the Austin area as well. I asked him if he was going to be playing at SXSW in March, but he'll be in Canada at the time. I told him I'd enjoy seeing him live whenever he played in Austin. In a slightly self-deprecating manner, he said that people always expect him to be a wild, flamboyant bass player after hearing what he accomplishes in recordings. He admitted that most of his other-worldly bass sounds are created through very small and precise movements of his fingertips. In other words, he can be very still when he plays...you know, like a typical bass player. I still want to see him play live. He spoke a bit about the recording process for the Airborne recordings. 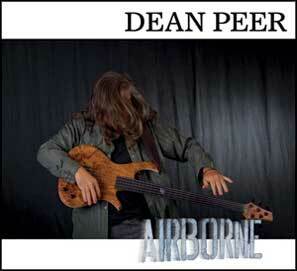 Dean is much more than a bass player, he is an accomplished record producer and engineer as well. He described the very technical digital processes that went into the recording but also stressed the simplicity of the solution, thanks to the latest digital innovations. When asked about whether or not he was satisfied with the results of the Airborne LP pressing, he was enthusiastic. Dean said that he and the studio engineers were trying to make the LP sound like it came straight out of the '70s. The sound quality of Airborne is so breathtaking that it didn't even occur to me that a "vintage" sound was the target. After hearing Dean's comments, I can now hear what he's talking about. There's definitely a funky, loose '70s vibe running through the entire album. Finally, I asked Dean what was next. He said he wanted to work on a project that was all about the year 1959. He discussed all the intriguing things about that year...it was the peak of Jack Kerouac's creativity, Alaska and Hawaii became states and it was the last great year of classic jazz recordings. I also mentioned that it was the "year the music died," referring to Buddy Holly, Ritchie Valens and the Big Bopper, and he nodded his head in agreement. Finally, Dean said that he was born in 1959, which is why the year has such special meaning for him. I'm looking forward to hearing this project. This is a wine stopper that Dan gave me (as well as others there) as a thanks for coming out. 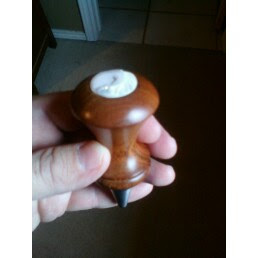 It's a beautiful handmade stopper from a friend of his at A-Skewed Creations. 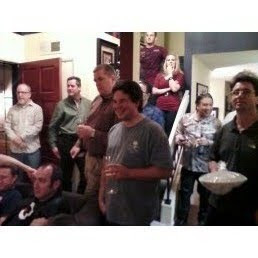 Thank you, Dan, for hosting this event! I look forward to the next one. I'd also like to thank everyone I met for being so gracious and friendly such as the entire Cardas family, Gavin Fish of MIT and AudioEvo.org, Marc Almirall, Dave and Carol Clark of Positive Feedback Online, David Aitken and of course Bob Clarke of Profundo, who told me a few amazing stories about how he got started as an audio distributor. Thanks everyone! Seems like I just got off the plane from Las Vegas and now I'm hopping on another one to San Diego. So far it's been an exciting 2011. 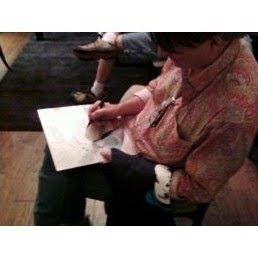 I'm headed to Blackbird Audio Gallery in beautiful Santee, California, to attend Dan Muzquiz's Music Night. 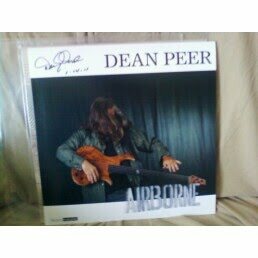 We're celebrating the limited edition LP release of Dean Peer's Airborne. 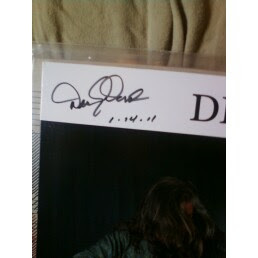 Dean will be there to sign my LP. 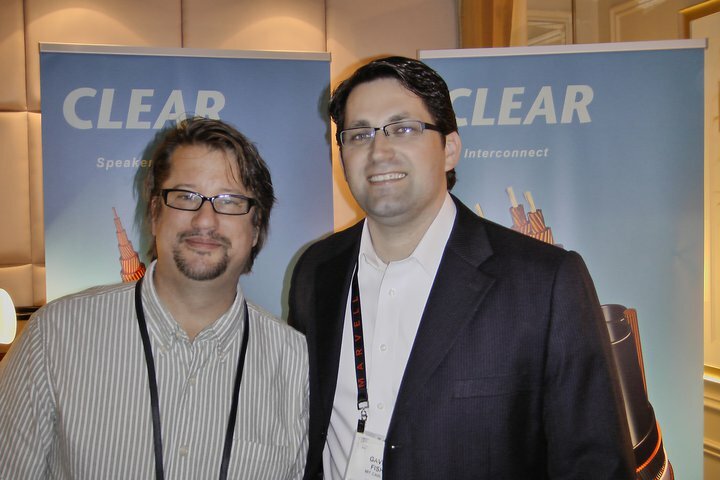 I'll also get to meet up with a lot of the friends I made at CES. I'm really looking forward to it, and of course it'll be blog-o-rama afterward. Talk to you later! My friend Brian Weaver just sent me a link to the Big Star Blog, where they have a short little film that shows the recent remastering of Chris Bell's "I Am the Cosmos"/"You and Your Sister" single at Ardent Studios. It's less than five minutes long, but it's obvious this is a moment of musical history. 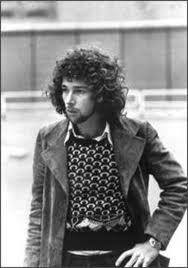 If you know Chris Bell's sad, sad story, you know he never got the recognition he deserved. 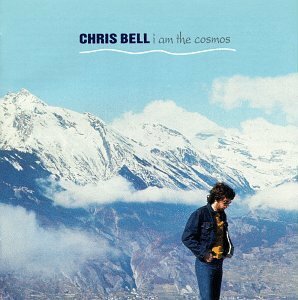 All fans of vinyl and Big Star should watch this at http://bigstarblog.tumblr.com/post/2721498635/vinyl-remastering-of-chris-bells-i-am-the-cosmos?ref=nf. Remember this turntable? Well, I was able to meet with the gentleman from Margules Group Mexico, the company that is trying to make these turntables a reality. They stopped by the Cardas room for a while and I was able to speak with them about these amazing designs as well as their strategy for bringing them to the audio marketplace. 1. 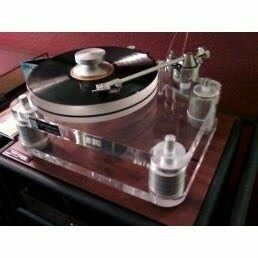 They want to bring these turntables to the international market for less than $1000. This will include the arm, which for now is a Rega OEM arm based on the highly-tweakable RB-250. 2. Oh, wait...there's more! For $1000, Sr. Margules wants to include a built-in phono preamp that's built right into the gorgeous plinths. That means this will truly be a plug and play analog solution. 3. Sr. Margules told me if he can't make this the best-sounding $1000 turntable on the market, he simply won't do it. He realizes that there will be some real challenges in accomplishing this, but he simply won't compromise the sound. 4. These designs were actually produced by design students in Mexico. He was amazed at the style, simplicity and execution from these 18 and 19-year-old individuals. Colleen Cardas told Sr. Margules that she wants the first one...serial number #001. AND she wants it in pink. He hedged a bit--you can tell he wasn't nuts about the whole "pink" thing. But he will try to deliver. I told him I wanted the second one off the line. I made it easier by telling him I wanted the one in wood, however. I hope Margules Group Mexico can achieve these goals, as I think this will be an exciting product that will really shake up the affordable turntable market. Here are some of the random photos I promised. First up is the VivA equipment that was featured in the Profundo room. This was just a static display but it shows how beautiful this Italian-made tube equipment really is. I've known about VivA for quite some time, but I haven't had a chance to listen yet. I will have my chance when I visit Dan Muzquiz for the Dean Peer Music Night in San Diego this weekend. Next up is a quick pic of the SimAudio MOON 600i integrated amplifier, I reviewed the LP 5.3 phono preamp for TONEAudio a couple of years ago, and I felt it was the best phono preamp at its price point (about $1400 at the time). I also used the I-7 integrated amp as a reference for several months and thought it was a superb mix of advanced technology and stunning sound quality. It seems like I always forget how much I enjoy SimAudio gear, and this is a chance to show the Canadian company a little love. I really dig the black/gold finish on this amp. 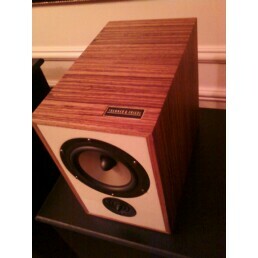 Here's the Trenner & Friedl ART monitors in a slightly different wood veneer than mine. It also has a white Corian baffle instead of the black I have. These are such beautiful little speakers. This is one of the middle models in the T&F lineup...the Ella. 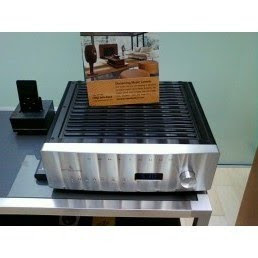 Dan Muzquiz reports that this speaker is an unbelievable match with the VivA Solista integrated amp. 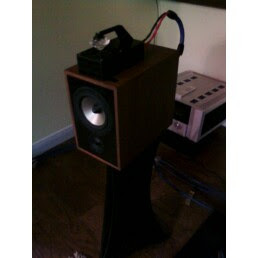 You can check out his blog on the Blackbird Audio Gallery website for an interesting article on this combination. 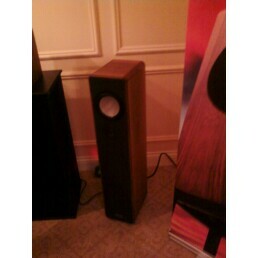 Again, my photo does not do justice to the amazing fit and finish of Trenner & Friedl loudspeakers. 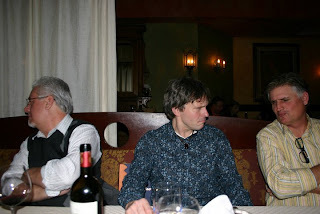 Here some pics that I stole from both Colleen Cardas and Trenner & Friedl. They're much better photographers than I am. First, here's a pic of Colleen Cardas and her nephew Luke at CES. 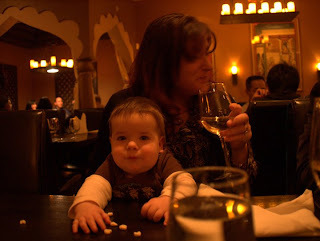 I'm probably speaking out of turn here, but Luke is the real mover and shaker behind Cardas Audio. 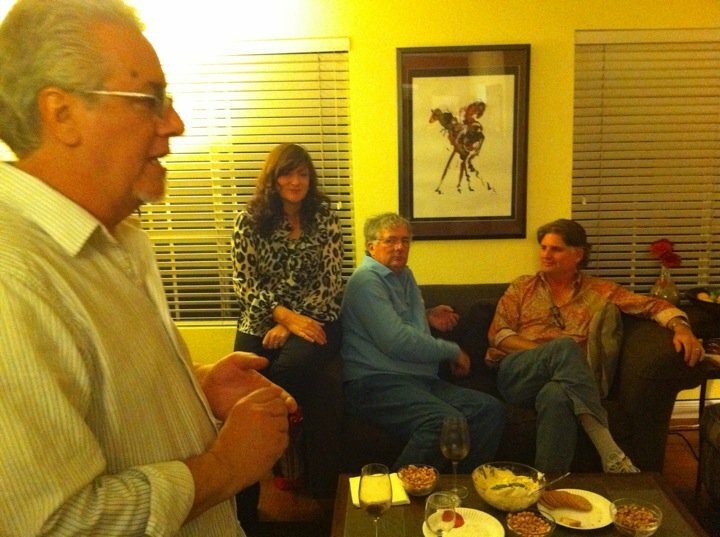 Here's another pic of the Cardas think tank with musician Dean Peer. 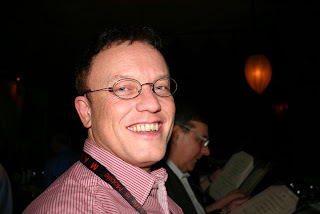 Dean cut his hair prior to CES, and almost no one recognized him. 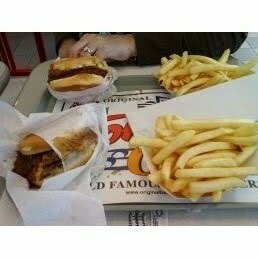 Here's a much better pic of the Dukes. As someone else said, "Holy crap...I'll never listen the same again." 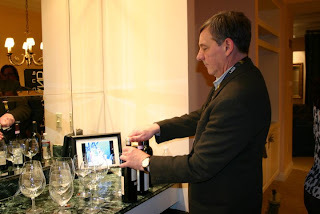 This is Bob Clarke of Profundo pouring me some more wine. 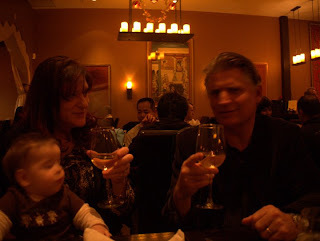 I drank more excellent wine at CES than I have in the last ten years. This is Bob and his wife Stacy. She was a ray of sunshine and offered tremendous support to everyone there. Here's a pic of Colleen and Andreas Friedl. I want someone to hand feed me Cheetos. I'd pay handsomely. Here's Peter Trenner. Another ray of sunshine. His love for good music is infectious. 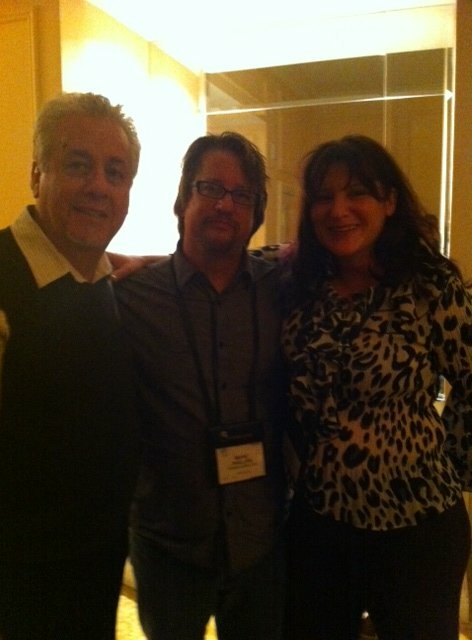 Here's Dan Muzquiz, me and Colleen. Sammich! And finally, Dan, Andreas and Dean. Thanks everyone for showing me a good time!